This morning, I read an article written by Reverend Michael Bresciani titled “National Day of Prayer out says federal judge — America’s identity eroding.” It’s generally more of the ignorance commonly displayed by the religious right when claiming the United States is a “Christian Nation,” though Bresciani does claim that label is inaccurate. He does, however, display much ignorance over the issue in general. I couldn’t agree more… except for the last bit because I’m not sure what Bresciani is referring to when he talks about Obama’s “previous stand on Christianity.” However, any decision that continues the day of prayer will most definitely be political. The outrage from Christians over their false sense of “persecution” would probably be overwhelming. Obama knows that, and even though the federal judge who ruled the day of prayer unconstitutional did so lucidly, logically, and correctly, the sense of entitlement that many Christians feel because of their religion will most likely compel him to still issue the “Day of Prayer” proclamation. The point that Bresciani makes about it being political is true. It certainly isn’t Constitutional. Here’s another point of agreement I have with Bresciani… taken slightly out of context because the surrounding text contains points of disagreement. […] President Obama’s administration started off in the same vein with his now famous proclamation that America is “not a Christian nation” Of course we are not a “Christian” nation because there is no such thing. In fact whenever any religion becomes the “national religion” it ceases to be spiritual and can only become tyrannical. If by not ascribing to the national religion you become a law breaker what would most people do? Aside from leaving out the key “at least not just” phrase of the “no longer a Christian nation” quote, Bresciani seems to agree that we are not a Christian nation… because Christianity is something personal. I’m not sure he’ll get all that much agreement from many on the religious right, but I’m with him when he says that we’re not a Christian nation… and that Christianity (and religion in general) is an individual decision. His point about a national religion ceasing to be spiritual is another point of agreement, though I don’t necessarily think that’s a bad thing. That it can only become tyrannical is arguable. I don’t think I would consider the Church of England to be tyrannical. Sadly, that’s about the extent of our agreement. The rest of his article is packed solidly full of straw men, hyperbole, bible quotes, and outright falsehoods. I’m going to hit a few key points, but read his entire article to get the full gist of how “off the mark” Bresciani’s thinking is. Our national identity and our Christian roots are being ignored, denied or challenged on every level. Really? Our national identity? Our Christian roots? I have a sneaking suspicion that, to Bresciani, those two are one and the same. If he is absurdly assigning Christianity to our nation’s identity, which seems to be the case, wouldn’t it be right to challenge that nation, given the purely secular nation of our Constitution… that Constitution that prohibits any laws respecting an establishment of religion? As for Christian roots, that’s just more misguided propaganda by the religious right. More accurately we are a nation that was founded on Christian principles and up to now has had more praying Christians than any other nation in history. No. No we are not a nation founded on Christian principles. We are a nation founded on secular principles as specifically spelled out in the Constitution. I can’t refute that we have more “praying Christians” than any other nation but praying or not, it doesn’t mean that Christians should be afforded any special rights or privileges. That would most certainly go against the founding principles of our country! Bresciani goes off the deep end the more he writes. We know that it’s universally acceptable to refer to some places as Muslim nations but somehow we are ashamed to be called a Christian nation. We also know that if Muslims were denied their right to pray five times per day facing Mecca in Saudi Arabia they would riot, war and die fighting against that ruling. The second point speculating about Muslims being denied their right to pray is, I’m assuming, a reference to the “National Day of Prayer” ruling, but it’s an entirely inaccurate comparison. Nobody is this country is denied their right to pray… any time, any place. The NDOP ruling doesn’t take away that right. It doesn’t affect it in the slightest. What it does, is prevent the US government from promoting a call to religious action… something the judge very clearly spelled out in the ruling. Bresciani obviously misses the point. If viewed in its converse form, we could say that when secular forces of atheism, agnosticism and anti-Christian bigotry go to the law against prayer in our national life, it is they who have decided to get the fed to make laws regarding the establishment or more accurately, the dis-establishment of religion. This may be the very argument used to challenge the ruling. Again… completely wrong on multiple counts. The challenges to nationally-sponsored prayer or religious practice are not an attempt to make laws, they are attempts to enforce already existing laws. They are attempts to enforce the basic tenants of our Constitution. None of the laws try to “dis-establish” religion. They keep religion from intruding in government matters… just as the Constitution dictates. Despite what Bresciani seems to think, preventing someone from breaking a law is not the same thing as creating a law. While the ACLU and others spend big bucks to fight crosses at memorials, nativity scenes, prayer in the congress or any public place, prayer in the military and classroom mentions of God why haven’t we equated that with a huge move to violate our right to religion and a willingness to engage the powers that be to make laws that adversely affect the establishment of religion? Wow. That entire paragraph is a monstrosity of logical and factual failure. Bresciani not only misses the point, but he misses it to such a large degree that he seems to be arguing against a straw man of monumental proportions. The ACLU does not fight nativity scenes. They fight governmental displays of nativity scenes (which amounts to illegally promoting a specific religion… again with that pesky Constitution!). Nativity scenes are not banned in non-government public places, as is evidenced by their widespread use by churches, private organizations, and homeowners all throughout the holiday season. The ACLU rightly fights against government-sponsored prayer, but not in “any public place.” They would vehemently fight for your right to pray wherever you want to pray… as long your prayer is not being sponsored or promoted by the government. Nothing the ACLU does violates a right to religion. The converse is true. They protect people from having religion forced on them by the government and, once again, they are backed up by our Constitution. Bresciani is portraying Christians as being stripped of their privileges and entitlements… as poor, sad, abused victims of persecution… because they are not being allowed to force the government to give them special privileges or special treatment. This is not a matter of atheists (or any other non-Christian demographic) forcing their beliefs down the throats of Christians. The notion is absurd. The ACLU and other supporting groups are watchdog groups who prevent Christians from doing what they falsely accuse others of doing. While some atheists will loudly proclaim their beliefs and vociferously decry any sort of religious belief as harmful and ignorant, it is well within their rights to do so. It is also well within someone’s rights to decry atheism… to mercilessly criticize those who do not belief in a personal God who answers prayers. Freedom of speech is a precious right in this country and I (and the ACLU) fully support it. Promote your religious beliefs as loudly as you dare. They line gets drawn, however, when the government is used to promote your religious beliefs. That’s such a huge key point and is so often missed (or blatantly ignored) by the Christian right when they’re spouting off about attacks on their faith or unfair treatment or persecution. They complain when they can’t use government property to display their religious icons. They complain when they can’t have government-funded public schools promote prayer. They complain when they can’t have the government create a special day calling for religious action. They complain when they can’t make government-funded schools teach a biblical creation stories. They complain when they aren’t allowed to display their bible verses in government courtrooms. But do they complain that they can’t put nativity scenes in the church’s front yard? Do they complain that personal prayer is banned in a national park? Do they complain that they can’t teach their own children their religious beliefs? Do they complain that they aren’t allowed to meet with like-minded people to worship? No. No they don’t. And the reason they don’t is that they are allowed to do all these things. They have an unprecedented level of freedom to practice their religion as they choose, when they choose, and where they choose. The only two caveats are that they can’t infringe on the rights of others and they can’t be funded or promoted or organized by the government. Shouldn’t that be enough? Shouldn’t that freedom be enough? Evidently, many Christians don’t seem to think so. They want the government to support them… and only them… and to relegate the rest of the citizenry to a lesser standing in society. When they demand the government sponsor a national day of prayer, when they expect the government to display their religious icons, when they expect the government to encourage everyone to participate in their religion… what they are doing is calling for a theocracy. If the Christian right got their way, our government would be as outwardly religious as the governments in some Middle Eastern countries. Freedom of religion, in their minds, seems to mean freedom to practice the Christian religion… and if you happen to have other beliefs, you should just shut up and keep them to yourself. Perhaps they don’t want Christianity to become the governmentally-declared religion of our country (because as Bresciani says, it would make it political instead of spiritual), but I have no doubt that many of them would have Christianity as our “official” religion… complete with special privileges and entitlements (much like they have now, in some cases) so that it would be the official state religion in every way except for a legal proclamation. They won’t be happy until we are a Christian nation… and people like Bresciani are pushing for it more every day. If they could only get rid of that pesky Constitution. This topic of the United States as a “Christian Nation” is abused so often by the religious right that it’s gotten beyond tedious, but Sarah Palin managed to stir it up again with her ignorant ramblings at the Women of Joy conference in Louisville, Kentucky. According to an ABC News story, Palin thinks it’s “mind boggling” to suggest that the United States is not a Christian nation. Needless to say, her comments ruffled a few feathers and sparked a lot of commentary… mostly because she’s factually incorrect on multiple points, something that isn’t surprising based on her track record. Whatever we once were, we are no longer a Christian nation â€“ at least, not just. We are also a Jewish nation, a Muslim nation, a Buddhist nation, and a Hindu nation, and a nation of nonbelievers. Note the prepared remarks stated “we are no longer just a Christian nation” but he stumbled over it a bit during his speech. The key word, which tends to be omitted by the religious right when going off on a rant about how persecuted they are, is “just.” Factually speaking, we are not just a nation of Christians. There are many other religions practiced in our country and, as Obama stated, people who practice no religion (even if they’re not explicitly atheists). So if the definition of “Christian Nation” is a nation populated by those of the Christian faith, then yes, we are a Christian nation. However, that same definition means that we are a Jewish nation… a Buddhist nation… a Hindu nation… a Scientologist nation… an Islamic nation… a Wiccan nation… and the list could go on and on and on. However, I doubt the religious right goes with that definition. Their definition is probably more likely that we are a nation founded and based on Judeo-Christian principles, blessed and ordained by the Judeo-Christian god, and protected by Divine Providence. Of course, that’s nonsense and has no factual basis whatsoever. Those who promote the idea that we’re a Christian nation frequently note the reference to “Nature’s God” and “their Creator” in the Declaration of Independence as bits of evidence in their favor. They also harp on the religious beliefs of our founding fathers. It’s true that many of the founding fathers were religious men. That argument is largely irrelevant, but if taken seriously, gives them no real support. Not all the founding fathers were religious men. Some had no affiliation and some were deists. Thomas Jefferson, the primary author of the Declaration of Independence was a deist… so presumably, when he refers to “Nature’s God” or “their Creator,” he is referring to a god who created the universe and then walked away, never to be heard from again. He certainly was not referring to the Christian notion of a God who listens to and answers prayers or is otherwise involved in the daily workings of the world. That aside, the Declaration of Independence is not a governing document. The Constitution is our governing document… and the only mention of anything godly in our Constitution is “In the Year of our Lord” when referring to the date… hardly an indication of Christian divine providence. There is nothing… nothing… in the Constitution that mentions God, Jesus, or anything else in the Christian faith. It is a decidedly secular document, regardless of the personal beliefs of the founding fathers. Actually, the fact that many of the founders were religious men, yet chose to omit any kind of religious references in the Constitution, is a huge indication that they specifically did not want the country to be a “Christian nation.” So quoting a founder’s view on religious faith is mostly irrelevant because the document is what governs our country… not the personal views of select founders. It’s disingenuous for Palin (and the religious right) to claim that this is a nation based on the Christian faith… disingenuous and dishonest. Based on the actual facts, it’s blatantly untrue. There isn’t really a valid debate to be had. The religious right, however, is a group that considers faith without evidence to be a virtue, so I’m sure the issue, much to the dismay of those who know better, will continue to come up. No doubt Sarah Palin will make sure of that. Religious Bill of Rights… huh? Phil does a good job of pointing out which items are questionable, which are irrelevant, and which are absurd, so I’ll leave you to your own devices to check out what he says. However, the “Legislative declaration” section of the bill also does a reasonable job of pointing out its own irrelevance. MANY INDIVIDUALS ARE UNAWARE OF THEIR EXISTING CONSTITUTIONAL RELIGIOUS RIGHTS. BECAUSE THESE RIGHTS ARE COMING UNDER INCREASING ATTACK IN THE PUBLIC SCHOOL SYSTEM, A METHOD TO RECOGNIZE, PROMOTE, AND ENFORCE THESE RIGHTS IS OF GREAT IMPORTANCE TO STUDENTS, PARENTS, TEACHERS, AND EMPLOYEES. Religious rights are coming under increasing attack? Perhaps a more accurate statement would be “Attempts to inject religious preference into public schools are being denied.” That aside, if individuals are unaware of their Constitutional rights, perhaps, instead of creating a separate (and silly) “religious” bill of rights, students rights could be “recognized, promoted, and enforced” based on the actual documents used to found and govern this country. I think that would probably be a better use of time and money. I’m afraid this points seems a bit incongruent. Morals and obedience increase with an understanding of religious liberty? The whole statement makes me vaguely uncomfortable and I’m not sure whether it’s because of its general incoherence or because its subtle combination of “obedience” and “religion” sounds darkly theocratic (to say the least). And the most pernicious part of all this is itâ€™s clear that the motivation behind this bill is not in the name of religious freedom and tolerance, itâ€™s in the name of freedom and tolerance for one specific religion. As I point out above, I donâ€™t think a radical Muslim would be treated the same way under this declaration as a Christian would. While that may be outside the scope of the bill, itâ€™s important to keep in mind. Anyway, the entire point has become a mere speed bump in the rearview mirror because the bill has died in committee. Or, as the official statement reads, it has been “postponed indefinitely.” It was rejected on a party-line 4-3 vote, unsurprisingly, but was rejected nonetheless. When something like this gets full support from Republicans, I often wonder why. Does it show a lack of understanding of our Constitution? Do they really think our country should be a theocracy? Do they really want all non-Christian religions subjugated? Do they really, truly believe thatÂ imposing the Christian religion on everyone is good for this country? Are they so, so blinded by religious fervor that they cannot understand the secular guarantees provided in our country’s founding documents? In honor of President’s Day, Americans United for Separation of Church and State put together a list of quotes from various presidents regarding religious liberty as it pertains to government. It’s a wonderful list including presidents from Washington to Grant to Carter. Most people know that Thomas Jefferson and James Madison were great champions of church-state separation. But did you know that James K. Polk had some interesting things to say, as did U.S. Grant? Check out the rest of list to see some thoughts from our past presidents. So, even putting aside the irrational, baseless nature of many claims of theistic religions, our country’s founding document gives no religion any preferential treatment by the government or, indeed, any preference in the general running of our country. If Christians (or any other religion, though fundamentalist Christians are the ones who seem to whine the loudest about this issue) want their ideas to be seriously considered, then they should give serious reasons for their consideration. …and quotes from the bible are most definitely not serious reasons. A Redding, California woman has decided to make it her mission to require schools to “provide children the opportunity to listen to or perform Christmas carols” or face litigation. According to redding.com, Merry Hyatt is collecting signatures (she needs 433, 971 by March 29th) in order to get her initiative put on the ballot next year. Schools currently are allowed to offer Christmas music as long as it is used for academic purposes rather than devotional purposes and isn’t used to promote a particular religious belief, according to an analysis by the California Legislative Analyst’s Office. That sounds reasonable. Given that this country is comprised of people of many different ethnicities, cultures, and religions, it makes sense to avoid singling out one particular religion for favoritism. It’s also constitutional, which is no small thing. However, it seems it’s not enough for Erin Ryan, president of the Redding Tea Party Patriots, who seems to lack quite a bit of understanding about this country, our constitution, and the existence of other holidays. I can’t argue that Christmas is about Christmas. That’s like saying that blue is blue. Her second sentence, however, is a bit puzzling. I’m not positive, but I think she’s implying that December is the “Christmas” season… to the exclusion of all other December religious holidays like Hanukkah, Kwanzaa, Solstice, Ashura, Litha, Hijra, and Zarathosht Diso. She must feel that she, as a Christian, has an entitlement that gives her special privileges, allowing her to place her religion on a high pedestal above anyone else’s religion. Either that or she just is so blindly ignorant of the existence of other religions that she can’t quite grasp the idea that someone else might not share her beliefs… though I doubt that’s the case. Rob Boston, senior policy analyst for Americans United for Separation of Church and State, says that Hyatt’s initiative is “blatantly unconstitutional” and has little hope of passage. Even if the absurd happened and Hyatt got enough signatures, got it on the ballot, and it got enough votes, the courts would strike it down. Boston said he thinks Hyatt’s initiative represents a larger issue of religious conservatives being unhappy with the changes resulting from American society becoming more diverse. “The frustration some religious conservatives have is they want a mythological religious America that probably never existed,” he said. I think that’s a huge, huge part of the problem. The more diverse this country becomes, the more diverse the religious beliefs become and that frustrates religious conservatives who feel their religion should have favored status in our culture (it already does) and our legal system (it does, but it shouldn’t). Whenever anyone makes a move to treat people of differing beliefs with equal respect, they cry foul. Hyatt, a substitute teacher who moved to Redding from Riverside, said her motivation for the initiative was to help restore children’s moral compasses by inviting Jesus to school Christmas parties. “He’s the prince of peace; he’s the only one who can get these kids to stop being so violent,” she said in November. That, in a nutshell, is one of the biggest problems in this country today. Whether it’s Christians, Muslims, Catholics, Jews or any other religion, when one group starts trying to force its beliefs onto the rest of society, our freedom is diminished. Discussing beliefs, arguing beliefs, criticizing beliefs, even proselytizing… that’s all fine, but when the attempt is made to base legislation or public policy on religious beliefs or to favor a particular religion, it not only becomes unconstitutional, but it becomes morally and ethically irresponsible. Policy should be based on rational thinking that creates conditions of equal treatment, not the morally questionable “teachings” of ancient religious texts. Hyatt said she believes it is Americans’ First Amendment right to worship. Yes. It is a First Amendment right that we have a freedom to worship (or not) as we please. What Hyatt doesn’t seem to understand is that nobody is trying to take that away. This country is inundated with churches, synagogues, mosques, and other religious buildings and establishments, all of which enjoy a special tax-exempt status and a freedom of operation. Anyone in this country has free and open access to worship as they please, anytime they please, without government intrusion or interference… in church or out. The religious right will cry from the rooftops that they’re being oppressed and that their right to worship is being stripped away by an increasingly secular society, but it’s nonsense. Religion, Christianity in particular in this country, gets an absurdly high level of preferential treatment from our government and from the population in general. The religious right seem to forget that they have churches… on practically every street corner… in which they can have their religious experiences, teach their religion to others, worship to their hearts’ content, and put up displays of their faithfulness. I can count at least twelve churches on my thirty-minute drive to work and there are three churches within a quarter mile of where I live. We don’t need to turn our schools into churches, too. Americans United for Separation of Church and State posted an article on Facebook today about a public school in Iowa that dropped two new classes in order to avoid any potential legal trouble. One class was a bible class and the other was a critique of evolutionary theory. The Des Moines Register has the full article. There aren’t any details on the classes, so I can’t see exactly whether the bible class was going to teach about the bible or teach the bible. Those are very different things. However, the inclusion of the class to critique evolutionary theory tends to indicate that the bible class wasn’t going to be an impartial view of biblical literature. The story aside, what I found more interesting were the comments following the article. They started out innocently enough with statements like these. Those sound reasonable to me, especially the last one where it’s pointed out (not nearly often enough in general) that religion is promoted so heavily in other venues that it seems redundant at best to include it in public schools. With math, science and writing being so important to high school graduation rates and college admission, it seems to me that more electives should be dedicated to core subjects and less to religion, unless there is a variety offered. Why not teach a “religions of the world” course that allows the kids to see the diversity of thought that lies just over yonder hill. I think a “Religions of the World” course would be a great elective for public schools, but I doubt that would fly, especially in more fundamentalist parts of the country. Some fundamentalists are terrified enough that their children might hear about atheism, much less other religions! The majority of the comments toward the beginning are mostly rational and only mildly politically charged. However, as the thread progresses, a bit of religious ideology starts to rear its head. It starts mildly with this comment by “aackso” (sic). Shaping political “beliefs” on 2000-year-old mythology is bad, okay? …and the second amendment is the one that prevents the establishment of religion… and the “free exercise thereof” part means I shouldn’t have your religious beliefs shoved down my throat in any government-sponsored venue (that includes public school). The worst offense in this passage, however, is the statement that Christian-based creationism should be taught in the same class as evolutionary theory… and that they can co-exist. So much for aackso’s support of the second amendment. Let’s be clear. 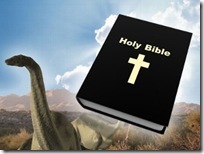 Christian-based creationism is not science. Period. Since it’s not science, it shouldn’t be taught in a science class. Evolutionary theory is science… one of science’s most heavily supported theories, with over 140 years of evidence-based research… and it does belong in a science class. Nor can creationism and evolution cannot co-exist. They cannot. They are diametrical opposition. Claiming that humans were created by magic in their present form can, in no way, be reconciled with the idea that humans evolved from more primitive animals over millions of years. That book is closed (or should be). This is such a common refrain to hear from theists that it doesn’t frustrate me anymore (mostly). It just makes me sad. It’s a perfect example of how religion is a curiosity-killer. Once you have the all-purpose solution of “God did it,” there’s no reason to look any deeper… no reason to find out about how things work… no reason to discover all the delicate, internal workings of living things and how they’re all directly connected to the workings of other living things… no reason to explore knowledge… no reason. It’s an excuse to willingly sit in blissful ignorance of the world around us. It cheapens life. It cheapens the almost unfathomable level of amazement that this world can provide. Religion tells us to disregard the millions of years of beautiful evolutionary complexities that show the interconnectedness of all life on Earth… and to just say it was magic. Most of the comments were actually good, rational statements and it was nice to see. It’s a refreshing change from the average comment threads on religiously-charged news stories. But then “mrspigglewiggle” chimes in with more silliness later in the conversation. Thankfully, she receives a well-justified smack down in the following three comments, starting with a return volley of mock silliness by “ponders” where he says “Were you there to observe God? hmmmmmmmmmmmm.” It gets better from there. I didn’t follow the entire comment thread, but for the amount I did read, there seemed to be a fair number of rational folks fighting back against those spouting religious ideology… and debating other good points among themselves. It was nice to see that, in contrast to the average comment thread following religiously-charged news stories. Today I saw a video of an interview with Sarah Palin about gay marriage. The interview was The Christian Broadcasting Network in October of 2008, so it’s nothing particularly current. However, I think it highlights something that is all too common, not just regarding the gay marriage debate, but religious issues in general. Here’s what Palin says during the interview. I want to be clear on something here. I 100% support her right to have and voice an opinion that is contrary to mine or anyone else’s. I would never want to squelch free speech on any issue. What I have a problem with, in this particular case, is the blatant hypocrisy. She says that she supports a constitutional ammendment on a state and federal level that would ban gay marriage by defining it as between one man and one woman. Then she says that she’s not “gonna be up here judging individuals” or “telling them what they can and cannot do, should and should not do.” That’s in complete contradiction with her first statement. So which is it? Only Palin knows for sure, but I can speculate based on information from other statements she’s made. She does want to tell people what they can and cannot do. She is judging people. Not only that, but she’s doing it based on teachings from her religious holy book. If you listen to the entire interview, she goes on to say the following. […] speaking up for traditional marriage… that… that… instrument that it’s the foundation of our society is that strong family and that’s based on that traditional definition of marriage. Putting aside her mid-sentence shift of meaning, she started out saying that “traditional marriage” is the “foundation of our society.” At least it is today. Tomorrow, our foundation might be the Ten Commandments. Perhaps later it could be Christian values or the right to life or a good work ethic. It seems that the foundation of our society can shift and morph and become whatever it needs to be to support the argument at hand, whether that argument is about gay marriage, religion in schools, abortion, political prayers, or other religiously-motivated topics du jour. 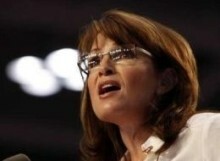 The all-too-common refrain, however, closely mimics Palin’s statements. You’re free to do what you want and believe what you want… as long as it goes along with biblical teachings. Nobody will judge you or tell you what to do… as long as what you’re doing is acceptable according to the bible.